The first methyltransferase inhibitor developed under the collaboration between Epizyme and GlaxoSmithKline (GSK) was the cancer treatment GSK3326595 (formerly EPZ015938), advanced to clinical studies in September 2016. The protein arginine methyltransferase 5 (PRMT 5) inhibitor is being developed for indications that include triple-negative breast cancer, bladder cancer, glioblastoma and p53 mutant and wild-type non-Hodgkin’s lymphoma, according to Epizyme. See also the June 2017 issue of Drug Discovery News on “Moving along with methyltransferase inhibitors.” by Lori Lesko. New clinical data suggests that methylarginine immuno-staining of human tumors has the potential to stratify tumor types based on protein arginine methylation status. 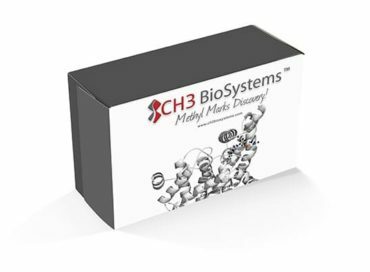 CH3 BioSystems has partnered with the laboratory of Dr. Jun Qu of the Department of Pharmaceutical Sciences at State University of New York at Buffalo and the New York State Center of Excellence in Bioinformatics and Life Sciences. This collaboration is expected to lead to new advances in detection, identification, quantification and amino acid localization of methyl group types in methylarginine proteins. The first publication from this partnership, made possible in part by CH3 technology and research, appeared in the Journal of the American Society for Mass Spectrometry. Renewed Interest in Protein Arginine Methyltransferase Inhibitors. Read the latest in Current Opinion in Chemical Biology! Molecular and cellular oncology group at MD Anderson Cancer Center suggest PRMT1 inhibition may be a useful strategy to overcome drug resistance in triple negative breast cancer. Francois Bachand’s laboratory at the University of Sherbrooke in Canada has utilized the patent-protected methylarginine specific antibody that selectively binds methylarginine proteins to understand better the basic science underlying PRMT3 structure-activity relationships. In a paper authored by Perreault et al. in Journal of Biological Chemistry, the authors demonstrate an excellent quantitative correlation between methylarginine detection using CH3 technology and in vitro methylation measured by the methyl-incorporation from the radioactive methyl donor, S-adenosylmethionine (cf. Figure 3B and Figure 4). 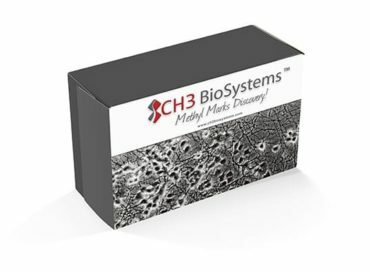 CH3 BioSystems has entered into a new agreement with Professor Michal K. Stachowiak, Molecular and Structural Neurobiology and Gene Therapy Program at the State University of New York at Buffalo. The collaboration seeks to analyze the contribution of protein arginine methylation to cell signaling during mouse brain stem cell development and migration. Please see further information on the model system that will be employed as described in the link below.